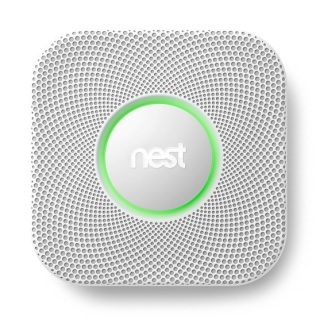 The best smoke and CO detector on the market today. 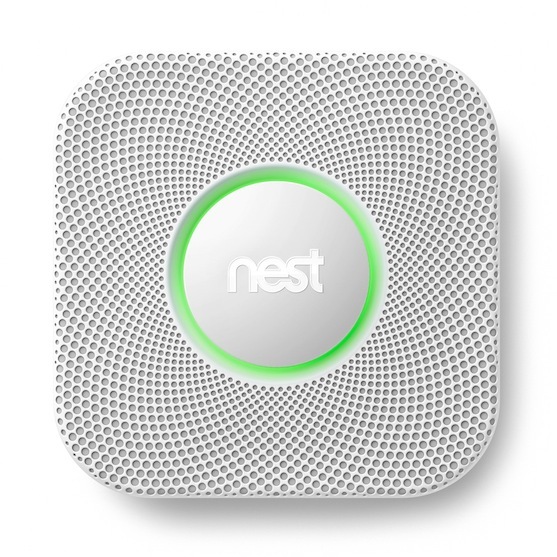 ​The Nest Smoke and Carbon Monoxide Alarm talks to you. It tells you where it is detecting a threat. It warns of threats with a light color change and a verbal warning. Get notifications anywhere if there is an emergency. Will integrate with your home control system to automate your home when the Nest Protect is triggered. It can light the way with a night light when you walk under it. Works as a team together with the Nest Thermostat. It shares information with the Nest Thermostat to be more energy efficient. Warns you of potential problems with color changes and verbal descriptions. Not as obnoxious as normal smoke and CO detectors. Free Apps on both Android and Apple. Comes in both battery powered and 120v hardwired versions. Check the status of the unit and the battery level anytime with the free app.